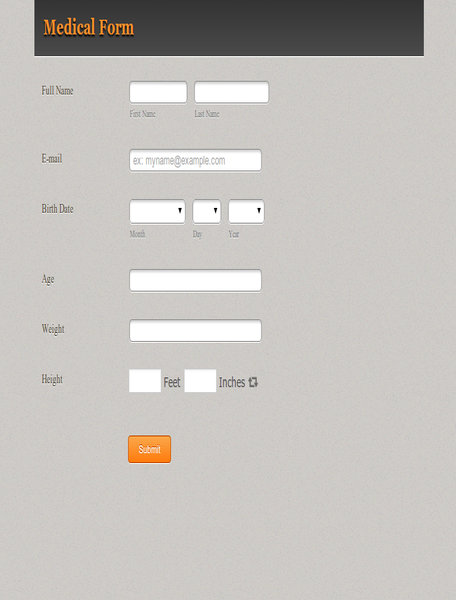 This nifty widget makes sure that your users can accurately submit a height value. 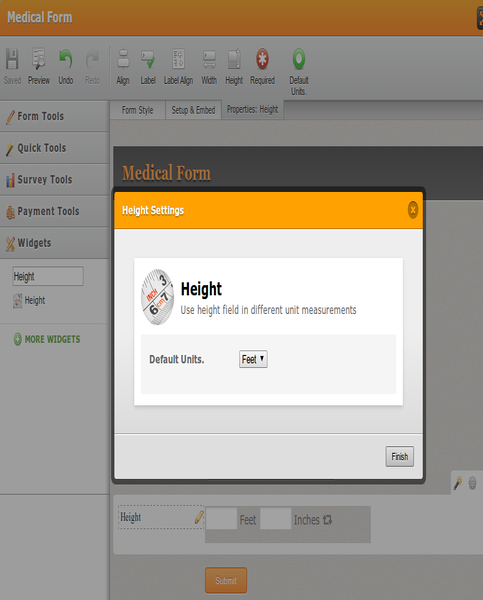 The widget allows your form users to select which unit the can use to enter the height value - Centimeters or Feet - Inches. 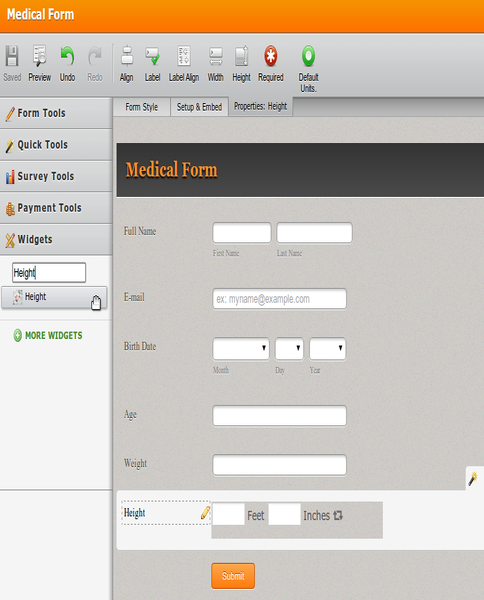 Regardless of which unit the user uses, the widget will submit both converted values automatically, making your form globally friendly to height units. The widget can be used on virtually any form that requires their users to submit height values. 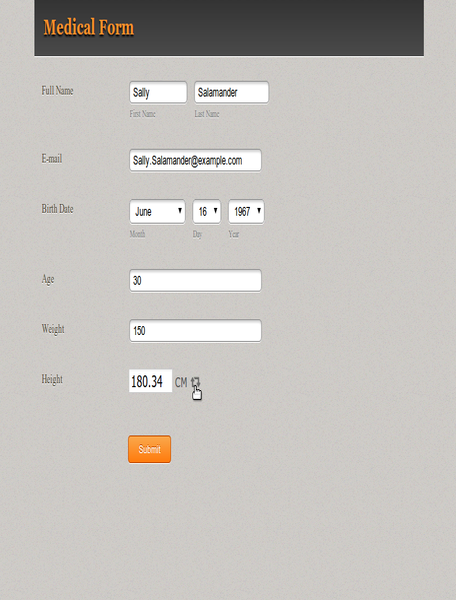 Converting between US and Metric units (the cycle icon) should be optional.